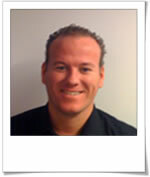 Rob Schlooz graduated in Business Economics in 2001 at the Hogeschool Zuyd. He has worked for a year at the administrative department of a hotel in Maastricht before choosing a career as accountant with Deloitte. During this time he also attended NIVRA-Nyenrode in order to complete his study for Registered Accountant (CPA). After a couple of years he switched jobs from Deloitte to Maastricht University and filled a position at the Administrative Service Centre. In February 2006 he successfully applied for the position of Project Administrator at the Department of Toxicogenomics (formerly GRAT). Currently, as Project Manager, he is involved in the management of 3 European Research projects (PHYTOME, HeCaToS and diXa) and several national projects of which NTC (Netherlands Toxicogenomics Centre) is the largest.